Newest Addition to the WR Performance line-up, is the development of the Neo -Ti Treated Products. 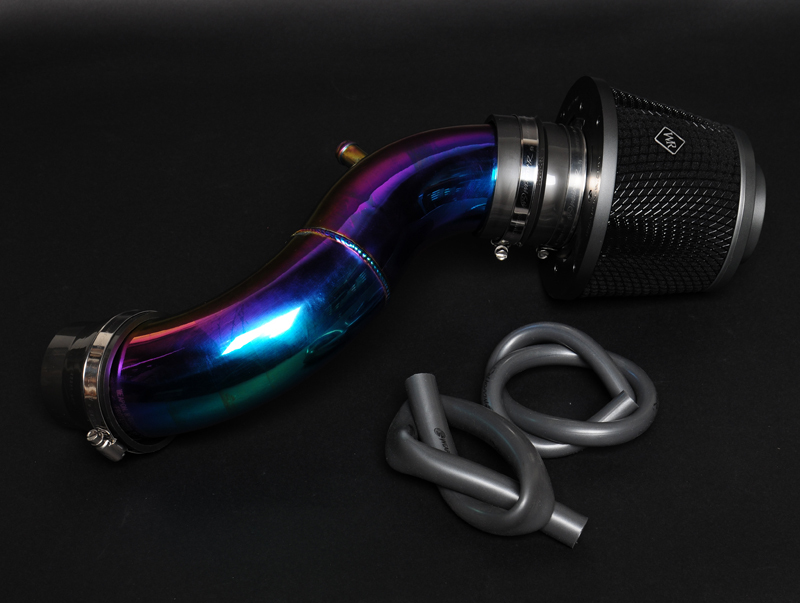 This treatment to our products, gives parts a Titanium Finish without the high titanium price. The Secret Weapon Intake was designed to multiply air intake volume to the engine. The concept is to create two different air velocity profiles, both traveling at different speeds. This technology increases air speed and volume to the engine, which naturally feeds the engine 3x more air than regular intake systems. Our Patented technology was developed experimenting with three basic laws of physics, Boyles Law , Bernoulli Equation and the Coanda Effect..